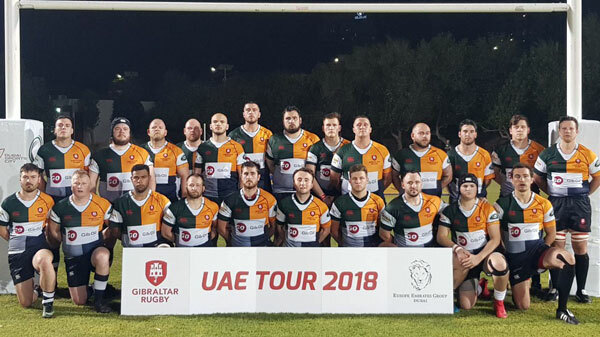 The UAE played out their one and only International fixture of the season last night under the bright lights of Rugby Park, Sports City which is home of the Dubai Eagles rugby club, beating a spirited Gibraltar 28-10. They played a decent touring Gibraltar side who have for the past week played various warm up fixtures around the city against the likes of local teams such as Exiles, Eagles and a UAE Barbarians side made up of Premiership players looking to make their way into the national squad next season. 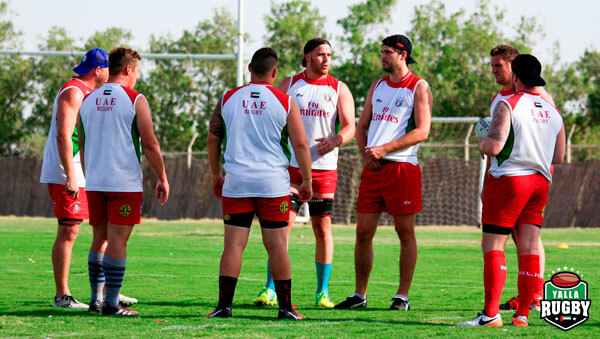 The UAE squad have not played any rugby together at all this season. 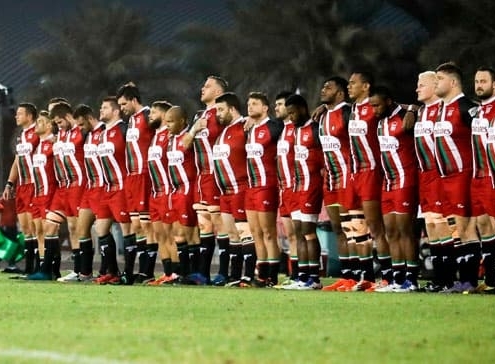 It seems a tad bittersweet for the UAE International squad, as they no doubt have the most talented group of individuals that we’ve seen in a few years here in the Emirates, but next seasons future is uncertain as they have withdrawn from the Asia Rugby Championship this summer – in a move which casts doubt on the very future of the international side. Lets hope that after last nights strong performance by the UAE, we will be seeing such talent showcased on the fields next season and more home internationals being organised by the Federation. 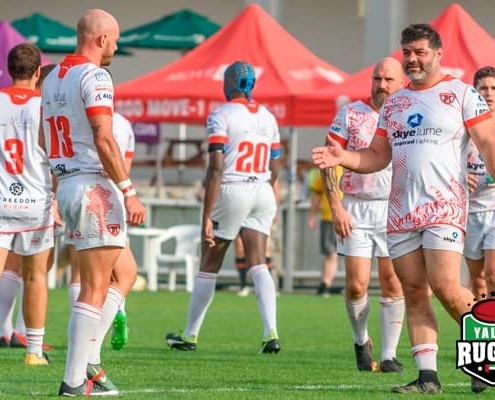 On a sticky night in Dubai Sports City, a UAE International Barbarian team made up of Premiership players stormed past a Gibraltar Rugby Development side, who struggled to keep pace with the locals. The touring side looked a completely different team in the second half though, as the dug deep in unfamiliar conditions. It was a referees worst nightmare as Eugene Deegan had to deal with both teams plying in al white strips if not for the red socks of Gibraltar to keep him in check. If it weren’t for poor discipline from the UAE Babas in the second half, the scoreline would have no doubt been much higher, almost hitting a cricket score. 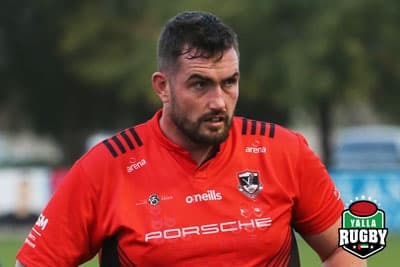 There was some great entertaining running rugby to be seen, non other than from local Exiles second row Stephen Ferguson, often seen tearing up the centre of the pitch with opposition players hanging on in vain to bring the big Irishman down. Final score down at Rugby Park 63-0. This Friday evening the UAE National squad will play Gibraltar in an International Friendly at Dubai Sports City, kicking off at 19:00. 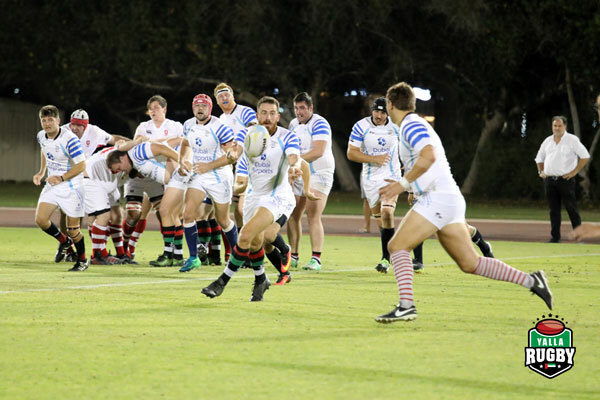 The starting XV to face the touring side will be announced by head coach Apollo Perelini on Thursday evening but the UAERF have provided us with a squad list ahead of that announcement. 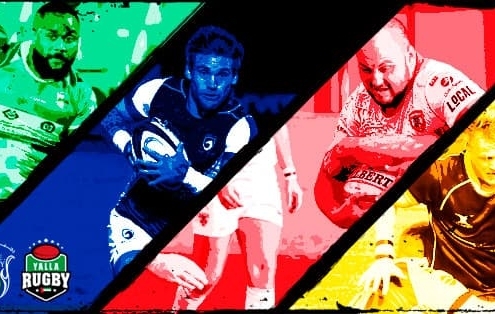 Congratulations to all included in the UAE rugby squad. 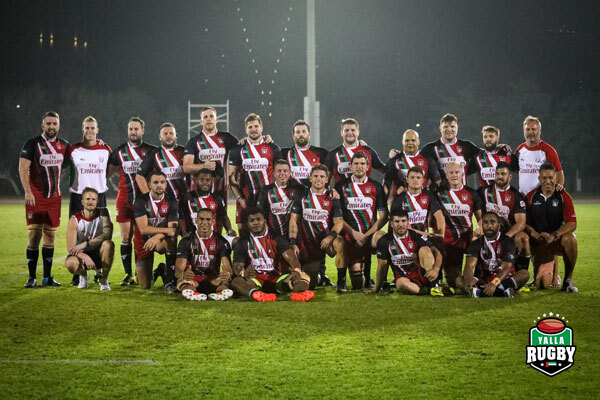 On a sticky night in Dubai Sports City, a UAE International Barbarian team made up of Premiership players stormed past a Gibraltar Rugby Development side, who struggled to keep pace with the locals. Final score down at Rugby Park 63-0. 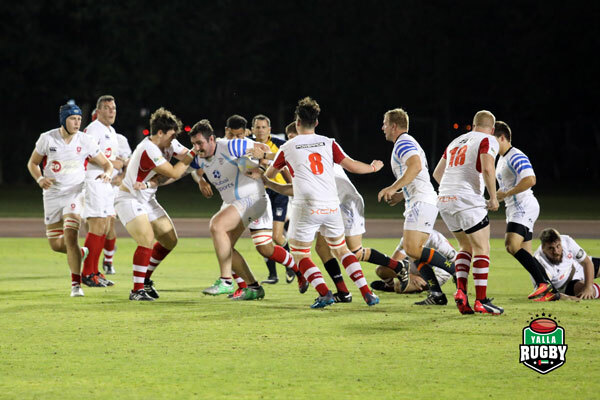 Gibraltar Rugby took on the Dubai Eagles down at Rugby Park, Sports City, which kicked off at 19:30. The tourists now have their first win under their belts as they beat the DSC Eagles 20-5 in slightly cooler conditions compared to their previous match under the lights at Sports City. 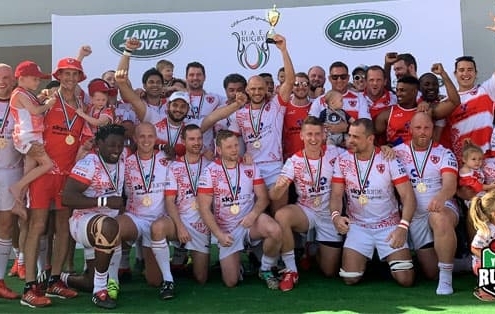 Gibraltar kicked off their Dubai tour by playing Premiership Champions – Dubai Exiles at local school Nord Anglia. The match finished 33-19 to a strong Exiles side played on the school’s newly installed artificial grass rugby pitch, which was recently opened by ex England and British & Irish Lions legend Roger Uttley. The elite graded grass pitch was opened last month as Roger officially opened the pitch to a crowd of pupils, staff and parents. Exiles player and Head of PE at NAS – David Gairn, helped organise the fixture which was streamed live on Facebook thanks to Exiles media guru Marc Jonathon. 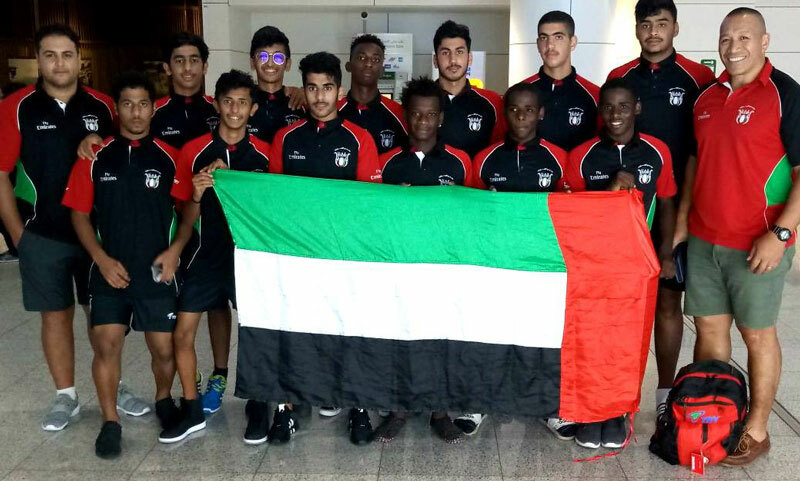 The U17 UAE Rugby Sevens squad have headed out to Taiwan to play in a Youth Olympic Games Qualifier which takes place this weekend (9th-10th September) in the Tainan Municipal Stadium. They face against hosts, Chinese Taipei, followed by Hong Kong, India and finally Malaysia in the pool competition. Hopefully then qualifying for either the Cup or Plate finals which will be held on Sunday. Congratulations to the squad members below, who were announced on Wednesday by Head Coach Apollo Perelini of the UAE Rugby Federation. 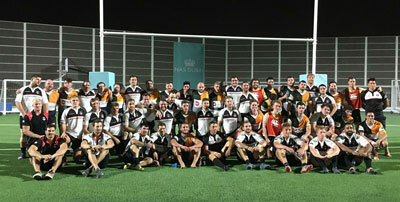 UAE Barbarians XV vs Gibraltar Devs. 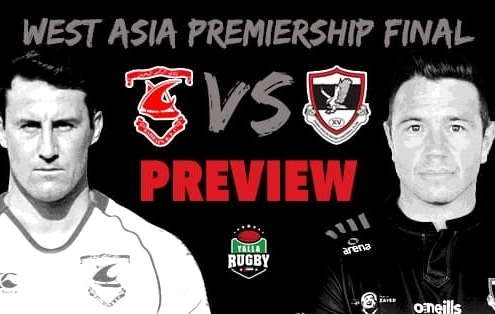 Perelini’s eyes firmly fixed on next weeks Asia Rugby Division One championship in Malaysia. 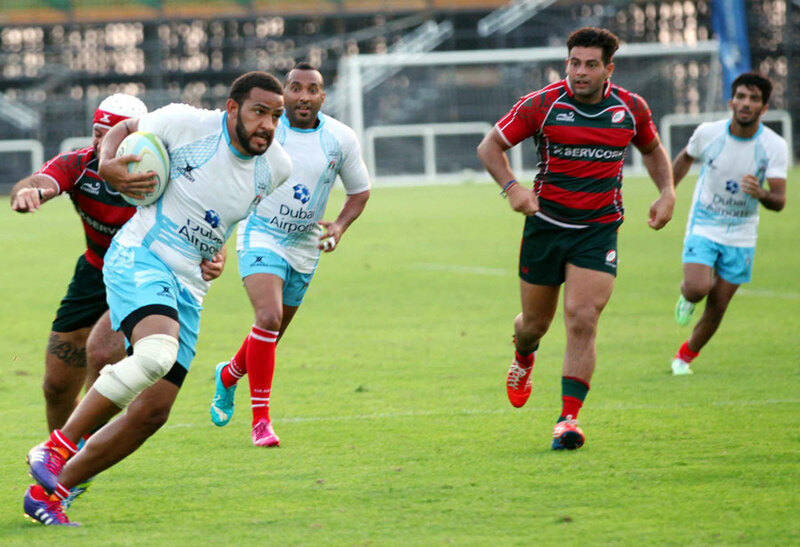 Yalla Rugby were lucky enough to be invited to Apollo Perelini’s last training camp before the upcoming Asia Rugby Division One Championship in Ipoh, Malaysia. “I’m happy, the team is coming together nicely with the Championship starting next week.” said Perelini. 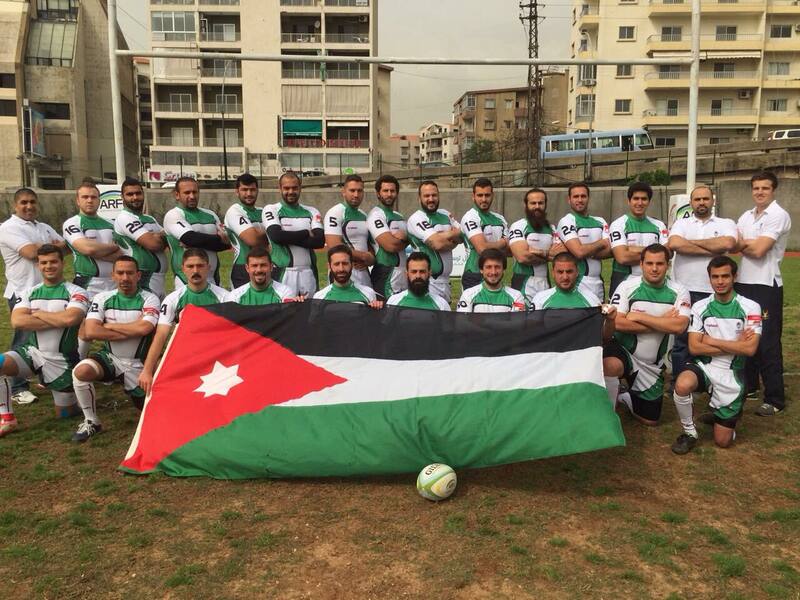 Over the past 3 years, the standard of playing rugby in the United Arab Emirates has improved a tremendous amount, with increased interest in the sport from all ages and abilities. 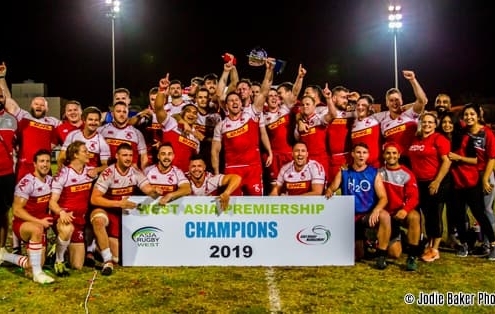 With the team setting out, not only to just compete, but actually win next weeks Asia Rugby Division One championship, local UAE rugby clubs could really feel the benefit from a successful campaign in Malaysia. 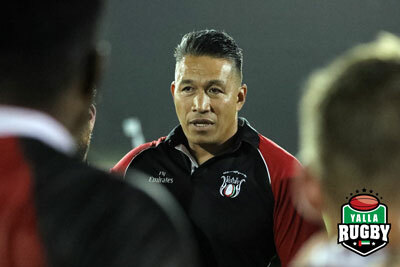 Perelini has picked a 28-man squad for the three-match tour in Malaysia, with Jebel Ali Dragons dominating the selection with eight players picked. 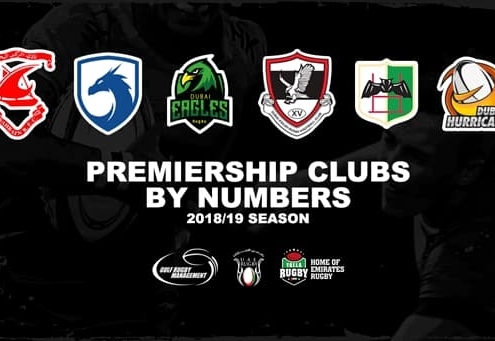 There are six from Dubai Hurricanes, five each from Abu Dhabi rivals Harlequins and Saracens, two from Dubai Exiles and two UAE Shaheen. 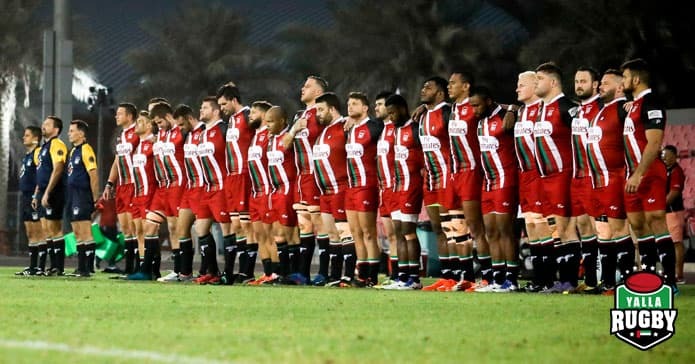 We’d like to wish Apollo and the UAE National rugby team the very best of luck and will keep you all up to date with their progress in the competition, which starts on the 14th May against Malaysia, then on the 17th they face Sri Lanka followed by their final game on the 20th against the Philippines. 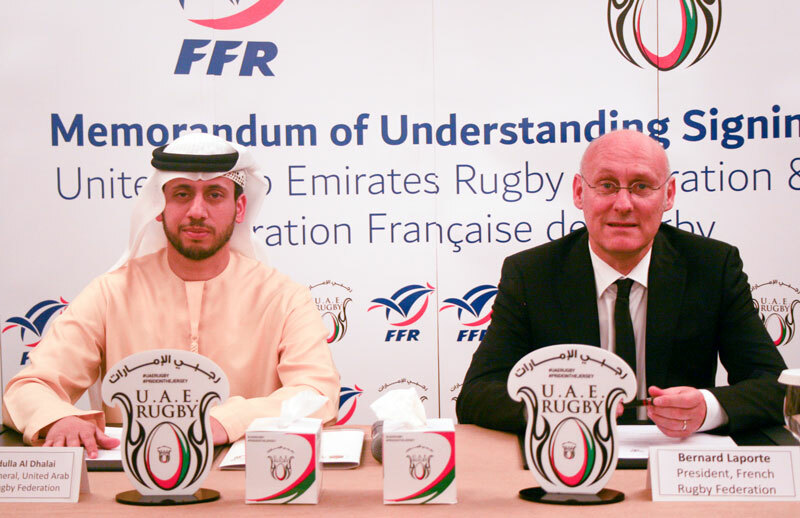 The UAERF have today signed a Memorandum of Understanding with the French Rugby Federation (FFR) where they hope to establish and implement a strategic partnership aimed at developing 7’s and XV’s players, coaches and match officials. “Entering into this partnership, at this stage of UAE Rugby’s rapid growth, is very exciting.” said Qais Al Dhalai Secretary General UAERF. 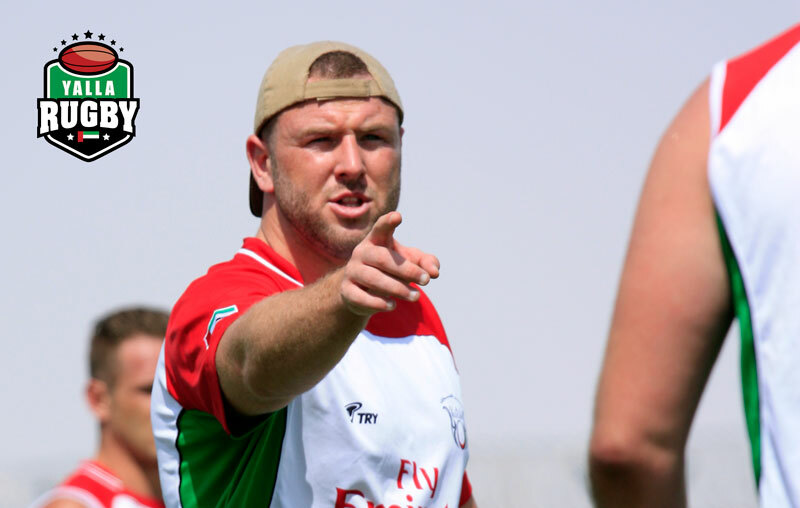 “Together, we (UAERF and FFR) have identified various training camps and tournaments for the benefit of our 7’s and XV’s players, as well as various training and officiating opportunities for UAERF’s match officials throughout the term of this partnership. 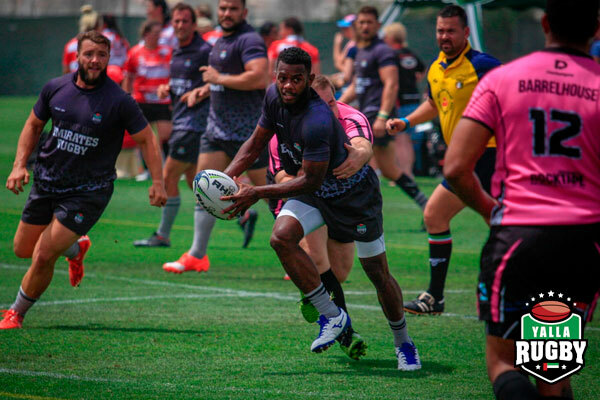 As the recognised sports-hub in the Middle East we are thrilled to be in a position to utilise many of the UAE’s diverse high-class training facilities for these activities, and similarly the well-regarded FFR National Center of Rugby in Marcoussis (France)”. “We are looking forward to finalising these opportunities and to working closely with Bernard and his team.” added Al Dhalai. Officiating today’s MoU signing was Qais Al Dhalai, Secretary General UAERF and Bernard Laporte, President of Fédération Française de Rugby. 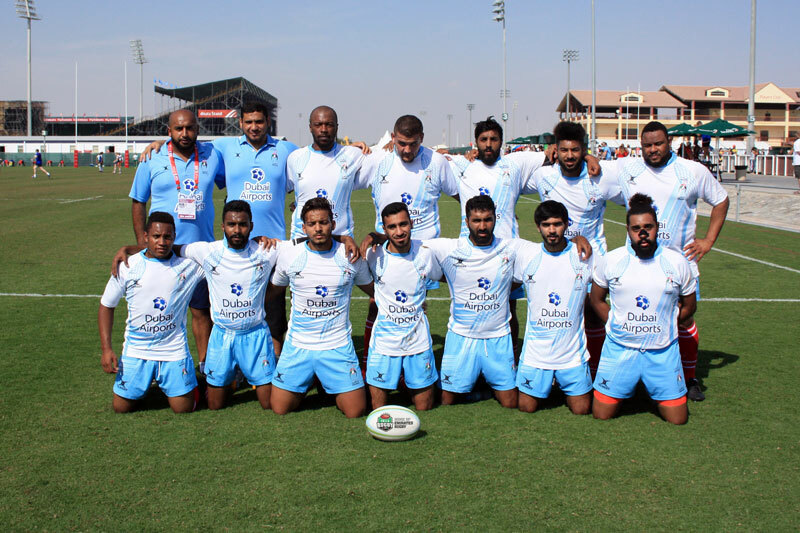 Dubai Airports’ three-year long sponsorship of UAE Rugby Federation’s Shaheen all-Emirati Rugby programme is paying huge dividends for the team and the sport by boosting participation levels tenfold, improving fitness levels and fuelling the team’s drive to support the UAE Olympic 7’s dream. 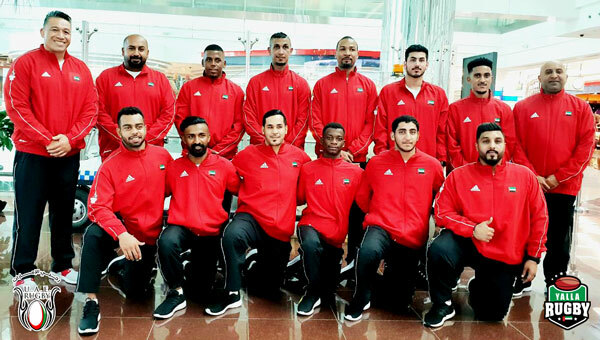 The Shaheen Rugby Development programme started with the support of Dubai Airports in 2014 and is responsible for a key Emirati element of the UAE Rugby Development and Performance Pathway. The programme, which commenced with 20 Emirati players who had no real rugby background, now boasts over 250 players aged 16 or over. 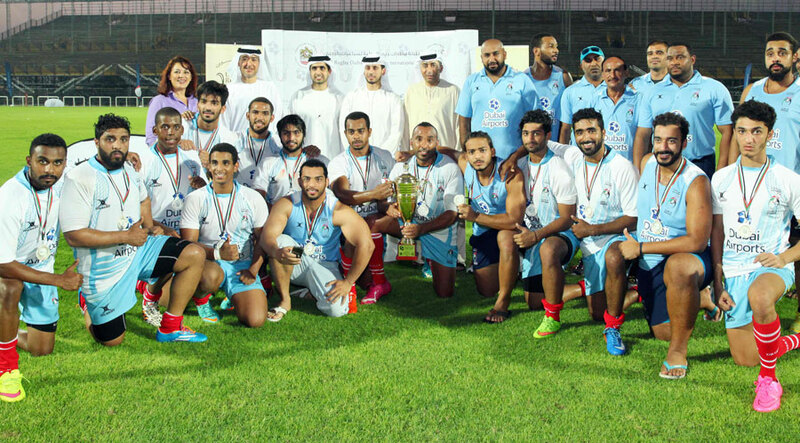 Shaheen is the Emirati development squad for the UAE national rugby teams. 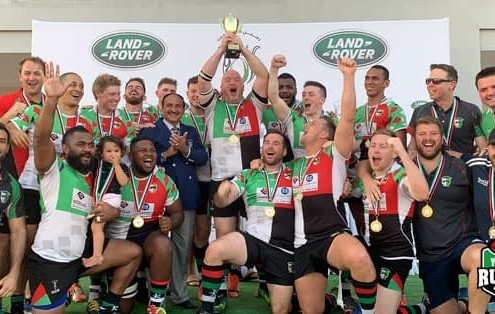 “Dubai Airports’ support of UAE Rugby’s Shaheen programme changed the lives of those who have been involved, and have created role models for others to follow,” said Sheikh Mohammed bin Maktoum bin Juma Al Maktoum – Chairman UAE Rugby. Al Dhalai added that players have benefited from weight loss and a more active lifestyle thanks to Shaheen’s structured programme with resources. 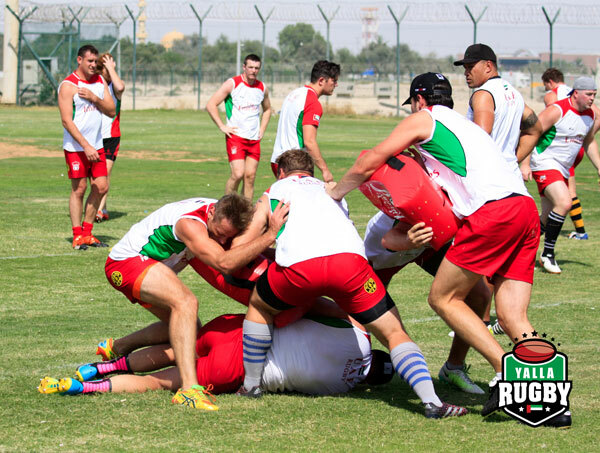 UAE Rugby Federation has announced that its Elite Player Programme (EPP) will commence in January 1st 2017. The EPP is a long-term strategy aimed at identifying, increasing and developing future National representative Emirati players with it’s primary focus on the development of 25 talented U18 Emirati players every calendar year. During each year, each group will participate in numerous training camps and focus on age-specific skills and fitness. The U18’s will be exposed to game and training analysis, skills and game management and position specifics. U16’s will be exposed to the basic aspects of the UAE rugby union, including game awareness, and the U14’s will be exposed to basic fundamental skills of rugby.